Clear Champagne Glasses. These glamorous 4-oz. 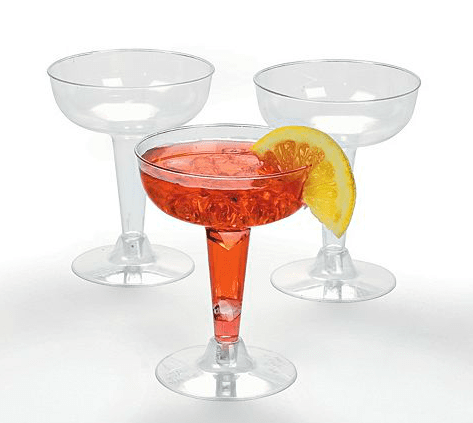 plastic champagne glasses are ideal for any large New Year's Eve gathering! Use them to toast the new year with a bit of bubbly and after-party cleanup will be a snap! (20 pcs. per unit) 4 1/4" Simple assembly required.